Magical realism, magic realism, or marvelous realism is a style of fiction that paints a realistic view of the modern world while also adding magical elements. It is sometimes called fabulism, in reference to the conventions of fables, myths, and allegory. "Magical realism", perhaps the most common term, often refers to fiction and literature in particular,:1–5 with magic or the supernatural presented in an otherwise real-world or mundane setting. The terms are broadly descriptive rather than critically rigorous. Matthew Strecher defines magic realism as "what happens when a highly detailed, realistic setting is invaded by something too strange to believe". Many writers are categorized as "magical realists", which confuses the term and its wide definition. Irene Guenther tackles the German roots of the term, and how art is related to literature. 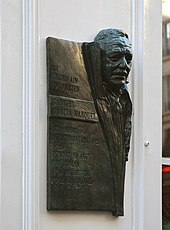 Magical realism is often associated with Latin American literature, particularly authors including genre founders Gabriel García Márquez, Miguel Angel Asturias, Jorge Luis Borges, Elena Garro, Juan Rulfo, Rómulo Gallegos, and Isabel Allende. In English literature, its chief exponents include Salman Rushdie, Alice Hoffman, and Nick Joaquin. Whereas, in Bengali Literature, prominent writers of magic realism include Nabarun Bhattacharya, Akhteruzzaman Elias, Shahidul Zahir, Jibanananda Das, Syed Waliullah, Nasreen Jahan and Humayun Ahmed. Also, in Japanese literature, one of the most important authors of this genre is Haruki Murakami. 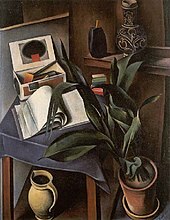 While the term magical realism first appeared in English in 1955,:16 the term Magischer Realismus, translated as magic realism, was first used by German art critic Franz Roh in 1925 to refer to a painterly style also known as Neue Sachlichkeit (the New Objectivity), an alternative to expressionism championed by fellow German museum director Gustav Hartlaub. :9–11:33 Roh identified magic realism's accurate detail, smooth photographic clarity, and portrayal of the 'magical' nature of the rational world. It reflects the uncanniness of people and our modern technological environment. :9–10 Roh believed that magic realism was related to, but distinct from, surrealism, due to magic realism's focus on the material object and the actual existence of things in the world, as opposed to surrealism's more cerebral, psychological and subconscious reality. :12 Magic realism was later used to describe the uncanny realism by American painters such as Ivan Albright, Peter Blume, Paul Cadmus, Gray Foy, George Tooker and Viennese-born Henry Koerner, along other artists during the 1940s and 1950s. However, in contrast with its use in literature, magic realist art does not often include overtly fantastic or magical content, but rather looks at the mundane through a hyper-realistic and often mysterious lens. The existence of fantasy elements in the real world provides the basis for magical realism. Writers do not invent new worlds but reveal the magical in this world, as was done by Gabriel García Márquez who wrote the seminal work of the style, One Hundred Years of Solitude. In the world of magical realism, the supernatural realm blends with the natural, familiar world. Authorial reticence is the "deliberate withholding of information and explanations about the disconcerting fictitious world". The narrator is indifferent, a characteristic enhanced by this absence of explanation of fantastic events; the story proceeds with "logical precision" as if nothing extraordinary had taken place. Magical events are presented as ordinary occurrences; therefore, the reader accepts the marvelous as normal and common. Explaining the supernatural world or presenting it as extraordinary would immediately reduce its legitimacy relative to the natural world. The reader would consequently disregard the supernatural as false testimony. In his essay "The Baroque and the Marvelous Real", Cuban writer Alejo Carpentier defined the baroque by a lack of emptiness, a departure from structure or rules, and an "extraordinary" abundance (plenitude) of disorienting detail (citing Mondrian as its opposite). From this angle, Carpentier views the baroque as a layering of elements, which translates easily into the post-colonial or transcultural Latin American atmosphere that he emphasizes in The Kingdom of this World. "America, a continent of symbiosis, mutations... mestizaje, engenders the baroque", made explicit by elaborate Aztec temples and associative Nahuatl poetry. These mixing ethnicities grow together with the American baroque; the space in between is where the "marvelous real" is seen. Marvelous: not meaning beautiful and pleasant, but extraordinary, strange, and excellent. Such a complex system of layering—encompassed in the Latin American "boom" novel, such as One Hundred Years of Solitude—aims towards "translating the scope of America". Magical realism plot lines characteristically employ hybrid multiple planes of reality that take place in "inharmonious arenas of such opposites as urban and rural, and Western and indigenous". This trait centers on the reader's role in literature. With its multiple realities and specific reference to the reader's world, it explores the impact fiction has on reality, reality on fiction and the reader's role in between; as such, it is well suited for drawing attention to social or political criticism. Furthermore, it is the tool paramount in the execution of a related and major magic realist phenomenon: textualization. This term defines two conditions—first, where a fictitious reader enters the story within a story while reading it, making them self-conscious of their status as readers—and secondly, where the textual world enters into the reader's (real) world. Good sense would negate this process but "magic" is the flexible convention that allows it. Something that most critics agree on is this major theme. Magic realist literature tends to read at an intensified level. Taking One Hundred Years of Solitude, the reader must let go of pre-existing ties to conventional exposition, plot advancement, linear time structure, scientific reason, etc., to strive for a state of heightened awareness of life's connectedness or hidden meanings. Luis Leal articulates this feeling as "to seize the mystery that breathes behind things", and supports the claim by saying a writer must heighten his senses to the point of "estado limite" (translated as "limit state" or "extreme") in order to realize all levels of reality, most importantly that of mystery. Magic realism contains an "implicit criticism of society, particularly the elite". Especially with regard to Latin America, the style breaks from the inarguable discourse of "privileged centers of literature". This is a mode primarily about and for "ex-centrics": the geographically, socially and economically marginalized. Therefore, magic realism's "alternative world" works to correct the reality of established viewpoints (like realism, naturalism, modernism). Magic realist texts, under this logic, are subversive texts, revolutionary against socially dominant forces. Alternatively, the socially dominant may implement magical realism to disassociate themselves from their "power discourse". Theo D'haen calls this change in perspective "decentering". "El realismo magical", magic realism, at least as practised by Márquez, is a development out of Surrealism that expresses a genuinely "Third World" consciousness. It deals with what Naipaul has called "half-made" societies, in which the impossibly old struggles against the appallingly new, in which public corruptions and private anguishes are somehow more garish and extreme than they ever get in the so-called "North", where centuries of wealth and power have formed thick layers over the surface of what's really going on. In the works of Márquez, as in the world he describes, impossible things happen constantly, and quite plausibly, out in the open under the midday sun. Literary magic realism originated in Latin America. Writers often traveled between their home country and European cultural hubs, such as Paris or Berlin, and were influenced by the art movement of the time. Cuban writer Alejo Carpentier and Venezuelan Arturo Uslar-Pietri, for example, were strongly influenced by European artistic movements, such as Surrealism, during their stays in Paris in the 1920s and 1930s. One major event that linked painterly and literary magic realisms was the translation and publication of Franz Roh's book into Spanish by Spain's Revista de Occidente in 1927, headed by major literary figure José Ortega y Gasset. "Within a year, Magic Realism was being applied to the prose of European authors in the literary circles of Buenos Aires. ":61 Jorge Luis Borges inspired and encouraged other Latin American writers in the development of magical realism – particularly with his first magical realist publication, Historia universal de la infamia in 1935. Between 1940 and 1950, magical realism in Latin America reached its peak, with prominent writers appearing mainly in Argentina. The theoretical implications of visual art's magic realism greatly influenced European and Latin American literature. Italian Massimo Bontempelli, for instance, claimed that literature could be a means to create a collective consciousness by "opening new mythical and magical perspectives on reality", and used his writings to inspire an Italian nation governed by Fascism. Pietri was closely associated with Roh's form of magic realism and knew Bontempelli in Paris. Rather than follow Carpentier's developing versions of "the (Latin) American marvelous real", Uslar-Pietri's writings emphasize "the mystery of human living amongst the reality of life". He believed magic realism was "a continuation of the vanguardia [or avant-garde] modernist experimental writings of Latin America". Mexican critic Luis Leal summed up the difficulty of defining magical realism by writing, "If you can explain it, then it's not magical realism." He offers his own definition by writing, "Without thinking of the concept of magical realism, each writer gives expression to a reality he observes in the people. To me, magical realism is an attitude on the part of the characters in the novel toward the world," or toward nature. Leal and Guenther both quote Arturo Uslar-Pietri, who described "man as a mystery surrounded by realistic facts. A poetic prediction or a poetic denial of reality. What for lack of another name could be called a magical realism." It is worth noting that Pietri, in presenting his term for this literary tendency, always kept its definition open by means of a language more lyrical and evocative than strictly critical, as in this 1948 statement. When academic critics attempted to define magical realism with scholarly exactitude, they discovered that it was more powerful than precise. Critics, frustrated by their inability to pin down the term's meaning, have urged its complete abandonment. Yet in Pietri's vague, ample usage, magical realism was wildly successful in summarizing for many readers their perception of much Latin American fiction; this fact suggests that the term has its uses, so long as it is not expected to function with the precision expected of technical, scholarly terminology. Guatemalan author William Spindler's article, "Magic realism: a typology", suggests that there are three kinds of magic realism, which however are by no means incompatible: European "metaphysical" magic realism, with its sense of estrangement and the uncanny, exemplified by Kafka's fiction; "ontological" magical realism, characterized by "matter-of-factness" in relating "inexplicable" events; and "anthropological" magical realism, where a Native worldview is set side by side with the Western rational worldview. Spindler's typology of magic realism has been criticized as "an act of categorization which seeks to define Magic Realism as a culturally specific project, by identifying for his readers those (non-modern) societies where myth and magic persist and where Magic Realism might be expected to occur. There are objections to this analysis. Western rationalism models may not actually describe Western modes of thinking and it is possible to conceive of instances where both orders of knowledge are simultaneously possible." Alejo Carpentier originated the term lo real maravilloso (roughly "the marvelous real") in the prologue to his novel The Kingdom of this World (1949); however, some debate whether he is truly a magical realist writer, or simply a precursor and source of inspiration. Maggie Bowers claims he is widely acknowledged as the originator of Latin American magical realism (as both a novelist and critic); she describes Carpentier's conception as a kind of heightened reality where elements of the miraculous can appear while seeming natural and unforced. She suggests that by disassociating himself and his writings from Roh's painterly magic realism, Carpentier aimed to show how—by virtue of Latin America's varied history, geography, demography, politics, myths, and beliefs—improbable and marvelous things are made possible. Furthermore, Carpentier's meaning is that Latin America is a land filled with marvels, and that "writing about this land automatically produces a literature of marvelous reality". 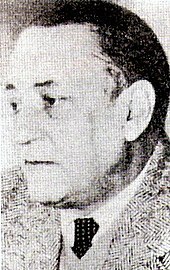 Critic Luis Leal attests that Carpentier was an originating pillar of the magical realist style by implicitly referring to the latter's critical works, writing that "The existence of the marvelous real is what started magical realist literature, which some critics claim is the truly American literature". It can consequently be drawn that Carpentier's "lo real maravilloso" is especially distinct from magical realism by the fact that the former applies specifically to America. On that note, Lee A. Daniel categorizes critics of Carpentier into three groups: those that do not consider him a magical realist whatsoever (Ángel Flores), those that call him "a mágicorealista writer with no mention of his "lo real maravilloso" (Gómez Gil, Jean Franco, Carlos Fuentes)", and those that use the two terms interchangeably (Fernando Alegria, Luis Leal, Emir Rodriguez Monegal). Criticism that Latin America is the birthplace and cornerstone of all things magic realist is quite common. Ángel Flores does not deny that magical realism is an international commodity but articulates that it has a Hispanic birthplace, writing that "Magical realism is a continuation of the romantic realist tradition of Spanish language literature and its European counterparts." Flores is not alone on this front; there is argument between those who see magical realism as a Latin American invention and those who see it as the global product of a postmodern world. Guenther concludes, "Conjecture aside, it is in Latin America that [magic realism] was primarily seized by literary criticism and was, through translation and literary appropriation, transformed. ":61 Magic realism has taken on an internationalization: dozens of non-Hispanic writers are categorized as such, and many believe that it truly is an international commodity. The Hispanic Origin Theory: If considering all citations given in this article, there are issues with Guenther's and other critic's "Hispanic origin theory" and conclusion. By admission of this article, the term "magical realism" first came into artistic usage in 1927 by German critic Franz Roh after the 1915 publication of Franz Kafka's novella "The Metamorphosis", both visual and literary representations and uses of magic realism, regardless of suffix nitpicking. Russian author, Nikolai Gogol and his story "The Nose" (1835), is also a predecessor to the Hispanic origin theory. All this further called into question by Borges' critical standing as a true magical realist versus a predecessor to magic realism and how the dates of publications between Hispanic and European works compare. Magic realism has certainly enjoyed a "golden era" in the Hispanic communities. It cannot be denied that Hispanic communities, Argentina in particular, have supported great movements and talents in magic realism. One could validly suggest that the height of magic realism has been seen in Latin American countries, though, feminist readers might disagree. Virginia Woolf, Angela Carter, Toni Morrison and Charlotte Perkins Gilman being excellent critical challenges to this notion of Hispanic magic realism as a full and diversely aware aesthetic. Allende being a later contribution to this gender aware discourse. Frida Kahlo, of course, being important to this as well but also at a later date than Woolf and Gilman. This feminist mapping, however, is unnecessary in identifying a basic truth. Kafka and Gogol predate Borges. They may each have their own forms of magic realism, but they are each by the broader definition solidly within this article's given identification: "a highly detailed, realistic setting is invaded by something too strange to believe...."
Gender diversity aside, magic realism's foundational beginnings are much more diverse and intricate than what the Hispanic origin theory would suggest as defined in this article. Early in the article, we read a broader definition: "[magic realism is] what happens when a highly detailed, realistic setting is invaded by something too strange to believe..." This "too strange to believe" standard being relative to European aesthetics—i.e. Woolf's, Kafka's and Gogol's work. Later, we read another definition and seeming precedent to the Hispanic origin theory: "Magical realism is a continuation of the romantic realist tradition of Spanish language literature." This "continuation" is a subset of a broader magic realism definition and standard. The Hispanic "continuation" and "romantic realist tradition of Spanish language" subset certainly identifies why magic realism took root and further developed in Hispanic communities, but it does not set a precedent for ground zero origination or ownership purely in Hispanic cultures. Magic realism originated in Germany as much as it did in Latin American countries. Both can claim their more specific aesthetics, but to identify the broader term of magic realism as being Hispanic is merely a theory unsupported by the citations within this article. Perhaps it is time to identify each as its own as part of a broader and less biased umbrella. Magic realism is a continued craft in the many countries that have contributed to it in its earliest stages. Germany being first and Latin American countries being a close second. There are certainly differences in aesthetics between European and Hispanic magic realists, but they are both equally magic realists. For this reason, the Hispanic magic realists should really have proper designation as such but not the overarching umbrella of the broader term as this article suggests. Taking into account that, theoretically, magical realism was born in the 20th century, some have argued that connecting it to postmodernism is a logical next step. To further connect the two concepts, there are descriptive commonalities between the two that Belgian critic Theo D'haen addresses in his essay, "Magical Realism and Postmodernism". While authors such as Günter Grass, Thomas Bernhard, Peter Handke, Italo Calvino, John Fowles, Angela Carter, John Banville, Michel Tournier, Giannina Braschi, Willem Brakman and Louis Ferron might be widely considered postmodernist, they can "just as easily be categorized ... magic realist". A list has been compiled of characteristics one might typically attribute to postmodernism, but that also could describe literary magic realism: "self-reflexiveness, metafiction, eclecticism, redundancy, multiplicity, discontinuity, intertextuality, parody, the dissolution of character and narrative instance, the erasure of boundaries, and the destabilization of the reader". To further connect the two, magical realism and postmodernism share the themes of post-colonial discourse, in which jumps in time and focus cannot really be explained with scientific but rather with magical reasoning; textualization (of the reader); and metafiction. Concerning attitude toward audience, the two have, some argue, a lot in common. Magical realist works do not seek to primarily satisfy a popular audience, but instead, a sophisticated audience that must be attuned to noticing textual "subtleties". While the postmodern writer condemns escapist literature (like fantasy, crime, ghost fiction), he/she is inextricably related to it concerning readership. There are two modes in postmodern literature: one, commercially successful pop fiction, and the other, philosophy, better suited to intellectuals. A singular reading of the first mode will render a distorted or reductive understanding of the text. The fictitious reader—such as Aureliano from 100 Years of Solitude—is the hostage used to express the writer's anxiety on this issue of who is reading the work and to what ends, and of how the writer is forever reliant upon the needs and desires of readers (the market). The magic realist writer with difficulty must reach a balance between saleability and intellectual integrity. Wendy Faris, talking about magic realism as a contemporary phenomenon that leaves modernism for postmodernism, says, "Magic realist fictions do seem more youthful and popular than their modernist predecessors, in that they often (though not always) cater with unidirectional story lines to our basic desire to hear what happens next. Thus they may be more clearly designed for the entertainment of readers." When attempting to define what something is, it is often helpful to define what something is not. Many literary critics attempt to classify novels and literary works in only one genre, such as "romantic" or "naturalist", not always taking into account that many works fall into multiple categories. Much discussion is cited from Maggie Ann Bowers' book Magic(al) Realism, wherein she attempts to delimit the terms magic realism and magical realism by examining the relationships with other genres such as realism, surrealism, fantastic literature, science fiction and its African version, the animist realism. As a simple point of comparison, Roh's differentiation between expressionism and post-expressionism as described in German Art in the 20th Century, may be applied to magic realism and realism. Realism pertains to the terms "history", "mimetic", "familiarization", "empiricism/logic", "narration", "closure-ridden/reductive naturalism", and "rationalization/cause and effect". On the other hand, magic realism encompasses the terms "myth/legend", "fantastic/supplementation", "defamiliarization", "mysticism/magic", "meta-narration", "open-ended/expansive romanticism", and "imagination/negative capability". Surrealism is often confused with magical realism as they both explore illogical or non-realist aspects of humanity and existence. There is a strong historical connection between Franz Roh's concept of magic realism and surrealism, as well as the resulting influence on Carpentier's marvelous reality; however, important differences remain. Surrealism "is most distanced from magical realism [in that] the aspects that it explores are associated not with material reality but with the imagination and the mind, and in particular it attempts to express the 'inner life' and psychology of humans through art". It seeks to express the sub-conscious, unconscious, the repressed and inexpressible. Magical realism, on the other hand, rarely presents the extraordinary in the form of a dream or a psychological experience. "To do so," Bowers writes, "takes the magic of recognizable material reality and places it into the little understood world of the imagination. The ordinariness of magical realism's magic relies on its accepted and unquestioned position in tangible and material reality." Author Amber Sparks described fabulism as blending fantastical elements into a realistic setting. Crucial to the genre, said Sparks, is that the elements are often borrowed from specific myths, fairy tales, and folktales. Unlike magical realism, it does not just use general magical elements, but directly incorporates details from well known stories. "Our lives are bizarre, meandering, and fantastic," said Hannah Gilham of the Washington Square Review regarding fabulism. "Shouldn't our fiction reflect that?" While Magical Realism is traditionally used to refer to works that are Latin American in origin, fabulism is not tied to any specific culture. Rather than focusing on political realities, fabulism tends to focus on the entirety of the human experience through the mechanization of fairy tales and myths. This can be seen in the works of C.S. Lewis, who was once referred to as the greatest fabulist of the 20th century. His 1956 novel Till We Have Faces has been referenced as a fabulist retelling. This re-imagining of the story of Cupid and Psyche uses an age-old myth to impart moralistic knowledge on the reader. A Washington Post review of a Lewis biography discusses how his work creates "a fiction" in order to deliver a lesson. Says the Post of Lewis, "The fabulist...illuminates the nature of things through a tale both he and his auditors, or readers, know to be an ingenious analogical invention." Italo Calvino is an example of a writer in the genre who uses the term fabulist. Calvino is best known for his book trilogy, Our Ancestors, a collection of moral tales told through surrealist fantasy. Like many fabulist collections, his work is often classified as allegories for children. Calvino wanted fiction, like folk tales, to act as a teaching device. "Time and again, Calvino insisted on the 'educational potential' of the fable and its function as a moral exemplum," wrote journalist Ian Thomson about the Italian Fabulist. While reviewing the work of Romanian-born American theater director Andrei Serban, New York Times critic Mel Gussow coined the term "The New Fabulism." Serban is famous for his reinventions in the art of staging and directing, known for directing works like "The Stag King" and "The Serpent Woman," both fables adapted into plays by Carl Gozzi. Gussow defined "The New Fabulism" as "taking ancient myths and turn(ing) them into morality tales." In Ed Menta's book, The Magic Behind the Curtain, he explores Serban's work and influence within the context of American theatre. He wrote that the Fabulist style allowed Serban to neatly combine technical form and his own imagination. Through directing fabulist works, Serban can inspire an audience with innate goodness and romanticism through the magic of theatre. "The New Fabulism has allowed Serban to pursue his own ideals of achieving on sage the naivete of a children's theater," wrote Menta. "It is in this simplicity, this innocence, this magic that Serban finds any hope for contemporary theatre at all." To Clark Zlotchew, the differentiating factor between the fantastic and magical realism is that in fantastic literature, such as Kafka's The Metamorphosis, there is a hesitation experienced by the protagonist, implied author or reader in deciding whether to attribute natural or supernatural causes to an unsettling event, or between rational or irrational explanations. Fantastic literature has also been defined as a piece of narrative in which there is a constant faltering between belief and non-belief in the supernatural or extraordinary event. In Leal's view, writers of fantasy literature, such as Borges, can create "new worlds, perhaps new planets. By contrast, writers like García Márquez, who use magical realism, don't create new worlds, but suggest the magical in our world." In magical realism, the supernatural realm blends with the natural, familiar world. This twofold world of magical realism differs from the onefold world that can be found in fairy-tale and fantasy literature. The term was used by Pepetela (1989) and Harry Garuba (2003) to be a new conception of magic realism in African literature. Although critics and writers debate which authors or works fall within the magical realism genre, the following authors represent the narrative mode. Within the Latin American world, the most iconic of magical realist writers are Jorge Luis Borges, Isabel Allende, and Nobel Laureate Gabriel García Márquez, whose novel One Hundred Years of Solitude was an instant worldwide success. García Márquez confessed: "My most important problem was destroying the line of demarcation that separates what seems real from what seems fantastic." Allende was the first Latin American woman writer recognized outside the continent. Her most well-known novel, The House of the Spirits, is arguably similar to García Márquez's style of magical realist writing. :43 Another notable novelist is Laura Esquivel, whose Like Water for Chocolate tells the story of the domestic life of women living on the margins of their families and society. The novel's protagonist, Tita, is kept from happiness and marriage by her mother. "Her unrequited love and ostracism from the family lead her to harness her extraordinary powers of imbuing her emotions to the food she makes. In turn, people who eat her food enact her emotions for her. For example, after eating a wedding cake Tita made while suffering from a forbidden love, the guests all suffer from a wave of longing. The Mexican Juan Rulfo pioneered the exposition through a non-linear structure with his short novel Pedro Páramo that tells the story of Comala both as a lively town in times of the eponymous Pedro Páramo and as a ghost town through the eyes of his son Juan Preciado who returns to Comala to fulfil a promise to his dead mother. In the English-speaking world, major authors include British Indian writer Salman Rushdie, African American novelists Toni Morrison and Gloria Naylor, Latinos, as Ana Castillo, Rudolfo Anaya, Daniel Olivas, and Helena Maria Viramontes, Native American authors Louise Erdrich and Sherman Alexie; English author Louis de Bernières and English feminist writer Angela Carter. Perhaps the best known is Rushdie, whose "language form of magical realism straddles both the surrealist tradition of magic realism as it developed in Europe and the mythic tradition of magical realism as it developed in Latin America". Morrison's most notable work, Beloved, tells the story of a mother who, haunted by the ghost of her child, learns to cope with memories of her traumatic childhood as an abused slave and the burden of nurturing children into a harsh and brutal society. Jonathan Safran Foer uses magical realism in exploring the history of the stetl and Holocaust in Everything Is Illuminated. Both sides were seen all over Europe during the 1920s and 1930s, ranging from the Netherlands to Austria, France to Russia, with Germany and Italy as centers of growth. 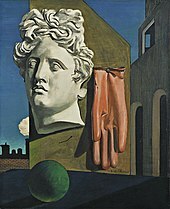 Indeed, Italian Giorgio de Chirico, producing works in the late 1910s under the style arte metafisica (translated as Metaphysical art), is seen as a precursor and as having an "influence...greater than any other painter on the artists of New Objectivity". In painting, magical realism is a term often interchanged with post-expressionism, as Ríos also shows, for the very title of Roh's 1925 essay was "Magical Realism:Post-Expressionism". Indeed, as Dr. Lois Parkinson Zamora of the University of Houston writes, "Roh, in his 1925 essay, described a group of painters whom we now categorize generally as Post-Expressionists." Occupying an intermediate place in this line of development, the work of several European and American painters whose most important work dates from the 1930s through to the 1950s, including Bettina Shaw-Lawrence, Paul Cadmus, Ivan Albright, Philip Evergood, George Tooker, Ricco, even Andrew Wyeth, such as in his well-known work Christina's World, is designated as "magic realist". This work departs sharply from Roh's definition, in that it (according to artcyclopedia.com) "is anchored in everyday reality, but has overtones of fantasy or wonder". In the work of Cadmus, for example, the surreal atmosphere is sometimes achieved via stylized distortions or exaggerations that are not realistic. Recent "magic realism" has gone beyond mere "overtones" of the fantastic or surreal to depict a frankly magical reality, with an increasingly tenuous anchoring in "everyday reality". Artists associated with this kind of magic realism include Marcela Donoso[verification needed] and Gregory Gillespie. Magical realism is not an officially recognized film genre, but characteristics of magic realism present in literature can also be found in many moving pictures with fantasy elements. These characteristics may be presented matter-of-factly and occur without explanation. Many films have magical realist narrative and events that contrast between real and magical elements, or different modes of production. This device explores the reality of what exists. :109–11 Fredrick Jameson, in "On Magic Realism in Film", advances a hypothesis that magical realism in film is a formal mode that is constitutionally dependent on a type of historical raw material in which disjunction is structurally present. Like Water for Chocolate (1992) begins and ends with the first person narrative to establishing the magical realism storytelling frame. Telling a story from a child's point of view, the historical gaps and holes perspective, and with cinematic color heightening the presence, are magical realist tools in films. Some other films that convey elements of magic realism are The Green Mile (1999), Amélie (2001), The Mistress of Spices (2005), Pan's Labyrinth (2006), Undertow (2009), Biutiful (2010), Beasts of the Southern Wild (2012), Birdman (2014), Bare (2015), a number of films by Woody Allen (including The Purple Rose of Cairo (1985), Alice (1990), Midnight in Paris (2011), Scoop (2006), and To Rome With Love (2012)). Additionally, most of the films directed by Terry Gilliam are strongly influenced by magic realism, the animated films of Hayao Miyazaki often utilize magic realism, and some of the films of Emir Kusturica contain elements of magical realism, the most famous of which is Time of the Gypsies (1988). Magical realism is referred to in the 2015 Netflix series Narcos, which opens with a title card, from which the narrator reads: "Magical realism is defined as what happens when a highly detailed, realistic setting is invaded by something too strange to believe. There is a reason magical realism was born in Colombia". Early video games such as the 1986 text adventure Trinity combined elements of science fiction, fantasy and magic realism. In his essay Half-Real, MIT professor and ludologist Jesper Juul argues that the intrinsic nature of video games is magic realist. Point and click adventure games such as the 2017 release Memoranda have recently embraced the genre. 2013 release Kentucky Route Zero is also deeply entrenched in magical realist tradition. In electronic literature, early author Michael Joyce's Afternoon, a story deploys the ambiguity and dubious narrator characteristic of high modernism, along with some suspense and romance elements, in a story whose meaning could change dramatically depending on the path taken through its lexias on each reading. More recently, Pamela Sacred perpetuated the genre through La Voie de l'ange, a continuation of The Diary of Anne Frank written in French by a fictional character from her The Passengers hypertext saga. ^ a b c d e f g h i j k l m n o p q r s t Bowers, Maggie Ann (November 4, 2004). Magic(al) Realism. New York: Routledge. ISBN 978-0-415-26854-7. ^ Rosas Lopátegui, Patricia. El asesinato de Elena Garro, Porrúa, México. 2006. ^ a b c d e Flores, Angel (May 1955). "Magical Realism in Spanish American Fiction". Hispania. 38 (2): 187. doi:10.2307/335812. JSTOR 335812. ^ "Post Colonial Studies at Emory". 1998. Archived from the original on June 20, 2009. Retrieved June 18, 2009. ^ a b c Daniel, Lee A. (1982). "Realismo Mágico: True Realism with a Pinch of Magic". The South Central Bulletin. 42 (4): 129–130. doi:10.2307/3188273. JSTOR 3188273. ^ "Twentieth-Century Spanish American Literature". University of Texas Press. 194. Archived from the original on February 27, 2009. Retrieved June 18, 2009. ^ Juul, Jesper (13 August 2014). "Are Game Experiments Apolitical? Avant-garde and Magic Realism". The Ludologist. Archived from the original on 25 April 2018. Retrieved 4 July 2017. ^ Rushdie, Salman (1991). Imaginary Homelands: Essays and Criticism 1981-1991. London: Granta Books. ISBN 978-0-670-83952-0. ^ Liam Connell , "Discarding Magic Realism: Modernism, Anthropology, and Critical Practice", in ARIEL, Vol. 29, No. 2, April, 1998, pp. 95-110. ^ a b Simpkins, Scott (1988). "Magical Strategies: The Supplement of Realism". Twentieth Century Literature. 34 (2): 140–154. doi:10.2307/441074. JSTOR 441074. ^ Haggard, Kit. "How a queer fabulism came to dominate contemporary women's writing". theoutline.com. Retrieved 24 November 2018. ^ Gilham, Hannah. "Discovering the Fabulists: The Value of the Bizarre in Literature". Washington Square Review. Retrieved 25 November 2018. ^ Capettini, Emily. "A Second Ribcage: Fiction and an Article on New Wave Fabulism, Trauma, and the Environment". PQDT Open. UMI Dissertation Publishing. Retrieved 2 December 2018. ^ Kirk, Russell. "The Faith of a Fabulist". The Washington Post. Retrieved 25 November 2018. ^ Thomson, Ian. "Italo Calvino: a celebration of the fairy king". The Telegraph. Retrieved 8 December 2018. ^ a b Menta, Ed (1995). Magic World Behind the Curtain. New York: Peter Lang Publishing. pp. 89–105. ^ Wolfe, Gene; Baber, Brendan (2007). "Gene Wolfe Interview". In Wright, Peter. Shadows of the New Sun: Wolfe on Writing/Writers on Wolfe. ISBN 9781846310577. Retrieved 2009-01-20. ^ "Terry Pratchett by Linda Richards". januarymagazine.com. 2002. Archived from the original on December 17, 2007. Retrieved February 17, 2008. ^ Parkinson Zamora, Lois; B. Faris, Wendy (1995). Magical Realism: Theory, History, Community. Durham & London: Duke University Press. ^ Jaggi, Maya. "A View From The Bridge". The Guardian. Archived from the original on 15 January 2018. Retrieved 15 January 2018. ^ a b "Magical Realism: Definitions". www.public.asu.edu. Archived from the original on 25 September 2017. Retrieved 25 April 2018. ^ "Swords and Silver Rings". www.uh.edu. Archived from the original on 2009-01-26. ^ Luber, Katherine Crawford (1998). "Recognizing Van Eyck: Magical Realism in Landscape Painting". Philadelphia Museum of Art Bulletin. 91 (386/387): 7–23. doi:10.2307/3795460. JSTOR 3795460. ^ Raynor, Vivien (1991-05-19). "ART; The Skill of the Watercolorist". The New York Times. Archived from the original on 2009-02-02. Retrieved 2010-05-12. ^ "John Ingle - Artist Biography for John Ingle". www.askart.com. Archived from the original on 25 February 2006. Retrieved 25 April 2018. ^ Camp, Roswell Anthony. "The Eye and the Heart: The Watercolors of John Stuart Ingle". www.johnsandford.org. Archived from the original on 6 September 2012. Retrieved 25 April 2018. ^ "Magic Realism". www.artcyclopedia.com. Archived from the original on 1 October 2009. Retrieved 25 April 2018. ^ Johnson, Ken (2000-09-22). "ART IN REVIEW; Gregory Gillespie". The New York Times. Archived from the original on 2009-02-02. Retrieved 2010-05-12. ^ "Gregory Gillespie Online". www.artcyclopedia.com. Archived from the original on 23 July 2012. Retrieved 25 April 2018. ^ Johnson, Ken (2003-05-23). "ART IN REVIEW; James Valerio". The New York Times. Archived from the original on 2009-02-02. Retrieved 2010-05-12. ^ Hurd, Mary (November 30, 2006). Women directors and their films. Praeger. p. 73. ISBN 978-0-275-98578-3. ^ Jameson, Fredric (1986). "On Magic Realism in Film". Critical Inquiry. University of Chicago Press. 12 (2): 311. JSTOR 1343476. ^ Zamora, Lois Parkinson; Faris, Wendy B (November 30, 1995). Magical Realism: Theory, History, Community. Duke University Press Books. p. 426. ISBN 978-0-8223-1640-4. ^ Hegerfeld, Anne (January 13, 2005). Lies that Tell the Truth: Magic Realism Seen through Contemporary Fiction from Britain (Costerus NS 155). Rodopi. p. 147. ISBN 978-90-420-1974-4. ^ Rushdie, Salam. "Salam Rushdie talks with Terry Gilliam". The Believer. believermag.com. Archived from the original on 16 June 2017. Retrieved 25 June 2017. ^ Zeitchik, Steven (16 September 2013). "'The Wind Rises': Five things to know about Miyazaki's new movie". Los Angeles Times. Archived from the original on 22 July 2017. Retrieved 25 June 2017. ^ Thomas, Kevin (9 February 1990). "Entering the Oscar Race Via Magic and Realism". Los Angeles Times. Archived from the original on 25 April 2018. Retrieved 25 June 2017. ^ Almario, Alex (September 24, 2016). "REVIEW: 'Narcos' state of mind, ALWAYS RIGHT NOW". The Philippine Star. Archived from the original on December 20, 2016. ^ Sepinwall, Alan (August 27, 2016). "Review: Netflix's 'Narcos' takes on the legend of Pablo Escobar". What's Alan Watching?. Archived from the original on December 20, 2016. ^ Roger Tringham, Neal (2015). Science Fiction Video Games. Boca Raton, USA: CRC Press. ISBN 978-1-4822-0389-9. ^ Jull, Jesper (2015). Half-Real: Video Games Between Real Rules and Fictional Worlds (Hardcover ed.). Cambridge: MIT Press. ISBN 9780262101103. ^ "Memoranda". Steam. Digital Dragon. Archived from the original on 22 June 2017. Retrieved 24 June 2017. ^ Walker, Jill. "Piecing together and tearing apart: finding the story in afternoon". jill/txt. ACM Hypertext 1999 conference. Archived from the original on 15 March 2016. Retrieved 24 June 2017. ^ Nilufar, Najwa. "La Voie de l'ange". The Passengers. Episodia. Archived from the original on 15 June 2017. Retrieved 24 June 2017.